WHEN YOU THINK OF FLOWERS... THINK OF OURS. CALL DESIGNS BY MARIA ANASTASIA TODAY! Designs By Maria Anastasia has been a leading full service florist in the Allentown, Pennsylvania area for many years. We design our arrangements with you in mind... whether you prefer time-honored and traditional styles or something more modern and contemporary. Designs by Maria Anastasia is conveniently open to serve your floral and gift giving needs: Monday through Friday 9:00 am to 4:00 pm and Saturday 9:00 am to 12:00 pm. Closed Sunday. 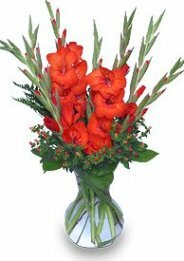 For your convenience, we also offer daily delivery to local funeral homes and hospitals.